I detailed my car for Hub’s birthday today. Technically, his bday is in three days. 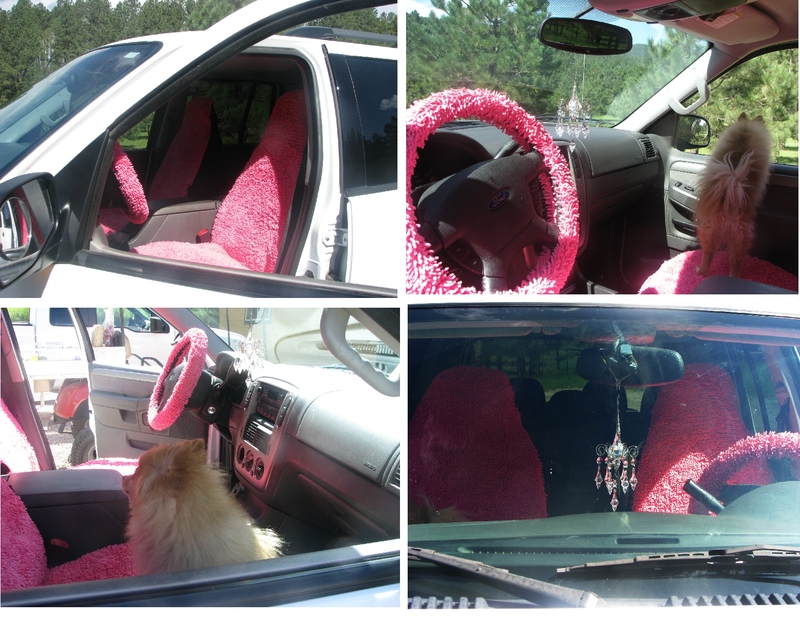 I also bought myself two bright, hot pink shag seat covers with a matching steering wheel wrap- hubba, hubba. I guess it’s been ….well, never since I’ve washed down the inside. I have vacuumed the inside and washed the outside, but I’ve never bathed the interior.. And technically… I didn’t do the washing – the carwash did. My SUV is a hard working, hard hauling 2004 vehicle that gets its oil changed about every 3000 miles and not a ding or scratch on her . But for some reason I have never washed it down, until today. On the surface it was bad, underneath it was so much more gosh awful worse. Besides the regular car stuff- shoes (forgot they were there), socks (I always keep some in the car for cold feet), a lost military ID (big deal! That photo looked like a mug shot. All I needed were numbers under my chin to complete the look), scissors (to cut the seatbelt off in case of an accident; listen, everybody should keep scissors in their car. You never know when a deer will come flying through the windshield! ), tape measure (to make sure whatever I find while junking will fit in the back), first aid kit (I haul kids, need I say more? ), paper bags for puke (like I said, I haul kids and dogs on winding mountain roads) hiking backpack (cause you just never know when that next cache is going to pop up), canned goods and a can opener…(What? Don’t you keep food in your car in case you get stuck in the snow? 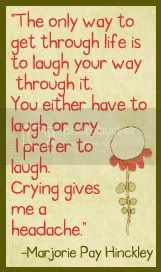 I know it’s not winter yet, I just like to be prepared) and under tons of dog hair, wrappers of all kinds, and various papers was ucky gunk. Yep, there it was. Ugh! I remember why I don’t do this kinda’ stuff. Gross? Nope, nope I need stronger word! Something like disgusting, offensive, awful, beastly, dirty, disagreeable, fierce, filthy, foul, grubby, hellish, icky, yea something like that. I grabbed the Simply Green to try and make a dent in all the dirt and gunk. To my surprise it worked, and worked well! Gobs of sticky little balls were attached to the paper towels, gag! Even typing about it now, makes me want to grab one of those barf bags, I so lovingly carry for my passengers. I thought for sure I was going to have to drive it into a lake for a good soakin’ before any of this stuff would turn loose. The cleaner didn’t even leave a residue. Everything was shining and my seats were now glowing in hot pink! She was looking awesome. Heck, I bought a Christmas chandelier ornament for our tree this year and hung it on the rear view mirror; but that was a little gaudy. What am I saying? It was way to gaudy even for me. It now hangs off the pull knob of my kitchen cabinet. What? I like looking at shiny and blingy stuff. And it is only going to hang there for… the next month and 10 days give or take a day or two. That is when my Christmas tree goes up. Another month on the tree then into the box it goes until next year. Hmmmm or will it? What a minute, I am off topic back to Myrtle Mae. Myrtle Mae, as I have so lovingly called my homely white car for years, now looks like a big fat, girlie pink and white rocket flying down the road. See shines so beautifully in the month of October. It is a fitting tribute to cancer awareness month. I believe Myrtle Mae is in need of a new name, to reflect her shocking pink personality. It’s like, she knows something is different. She drives smoother, she has more pep, and she even dodges and weaves with the steering precision of a Fiat, around all the highway obstacles (dead critters, deer and elk). I need new name ideas people, PLEASE. Hub says he’s never riding anywhere else with me again (because of the pink seats- not because of the wonderful work I did for me on his almost birthday). Daughter said she will ride in the back, hidden behind the anonymity of darkly tinted windows from now on. I love my brightly colored, clean as a whistle, pink cotton candy SUV. …OKAY, the guilt is getting to me. I will detail Hub’s work truck tomorrow. And knowing how much he absolutely loves my pink seats, I may leave him a little birthday present that he will absolutely fall into pink love with. I will tell him it’s green. And unless someone tells him it is pink he’ll never know what the true color is… He’s colorblind! Save the tata’s, yaw. October is breast cancer awareness month be a friend reach out and touch someone.